Curios is one of the more human oriented larvals in the collection. This sympathetic form finds itself kindly playing with the other larval masks. It seems to always be either agreeing with every proposal or seeking agreement for others in the games being played. Great themes for larval mask improvisation and creative work are “the work site,” “the fantastic world,” and “the group effort.” Any them that requires the masks to solve a simple active problem together will lead the masks to playful attempts at solving the problem. Add to this the objective of “I want” and there is then need to succeed. Success is seldom in the mix with larval masks but everyone has fun along the way. 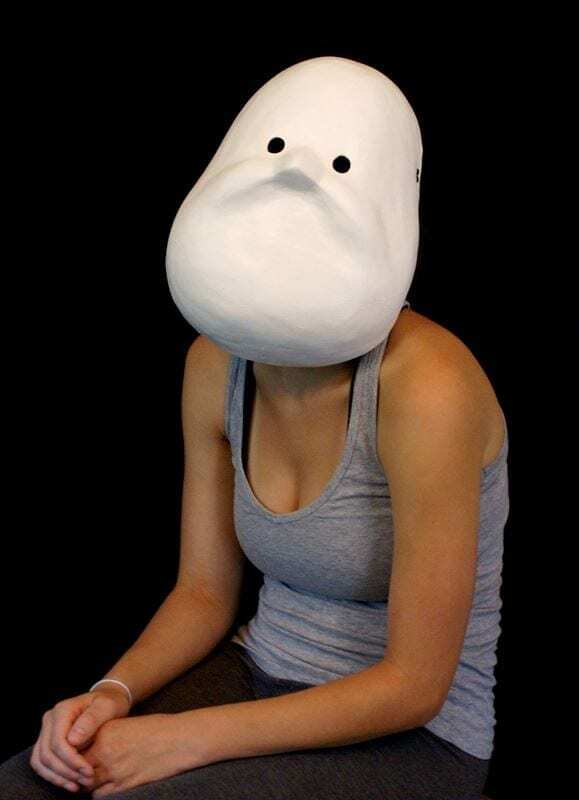 The design of this Larval mask or Basel mask is inspired by one of the masks used at Ecole Lecoq in 1986. 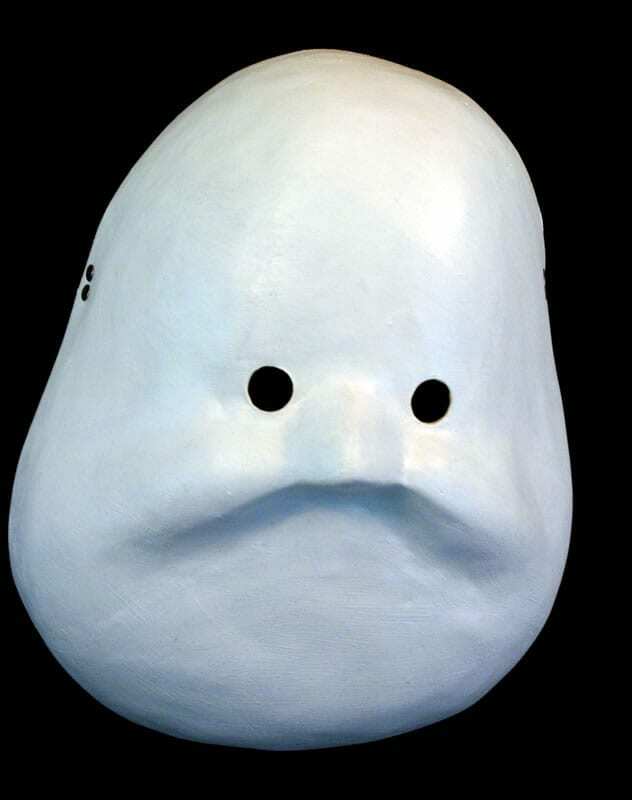 The original mask in this design was made in Switzerland in 1989 for courses being taught in Lucerne.